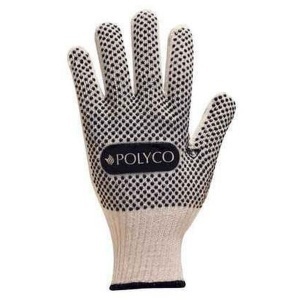 The Polyco Firmadot PVC Dot Coated Knitted Gloves is a PVC dot coated knitted glove. 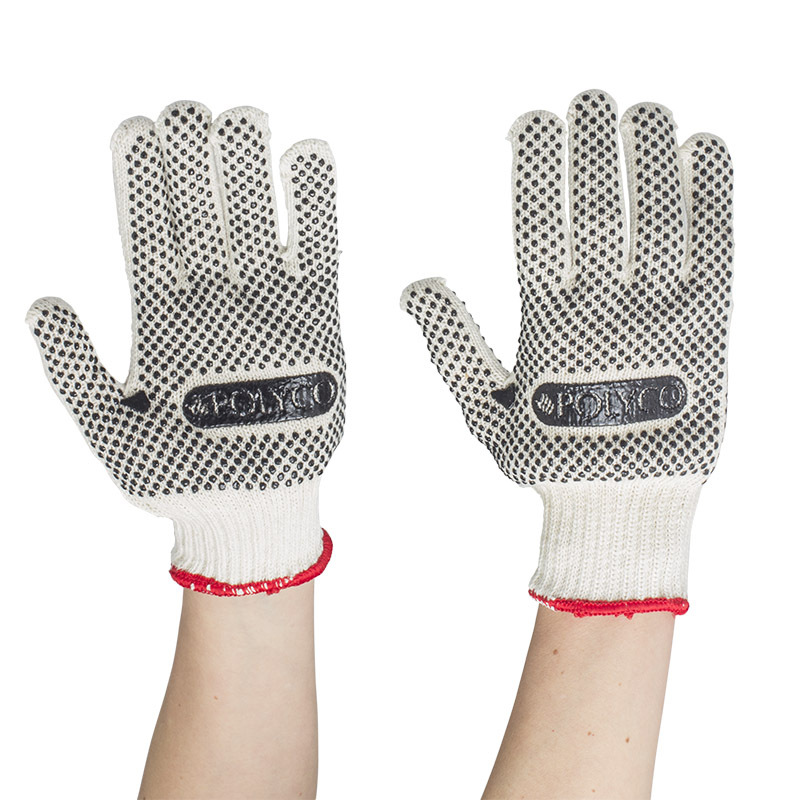 The knitted shell of the safety glove provides a close and comfortable fit. This grip glove has no seams which makes them extremely comfortable and prevent irritations over extended periods of wear. These gloves are sold as a pair. The Polyco Firmadot PVC Dot Coated Knitted Gloves has PVC dots over the entire hand not only to provide excellent grip but also to be worn on either hand, extended the life of the safety glove. The grip and handling of the Polyco Firmadot makes a considerable difference in productivity, significantly increasing the safety for the user. 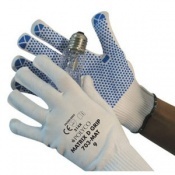 Offering a good fit these gloves are the smart choice, delivering the best overall performance in handling, packing and light assembly applications at an economical price. 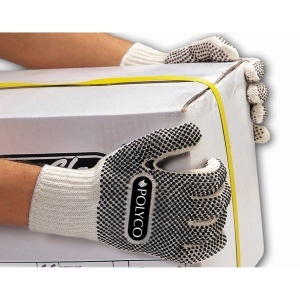 Please note that Polyco Firmadot Knitted Gloves are supplied as a pair. The product code for these gloves is 73. A PVC dot coating provides good grip for safe handling; this coating can be seen in the image below. 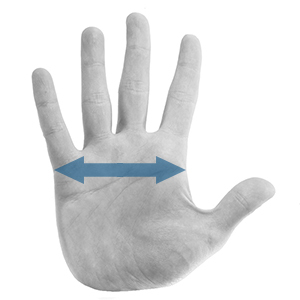 Fits either hand, extending the life of the glove. Good fit, flexibility and feel. An elasticated knit wrist ensures a snug fit. Seamless construction will not irritate hands, even during long periods of wear. Have used Polyco Gloves for over 5 Years. Great value and they do the job of protecting your hands while gardening. no need to worry which glove to use on which hand they are interchangeable. These gloves are good! They fit onto a big hand and you don't get left with a lot of LH gloves as they fit either hand. They wash too so last longer. Very useful. We bought 60.